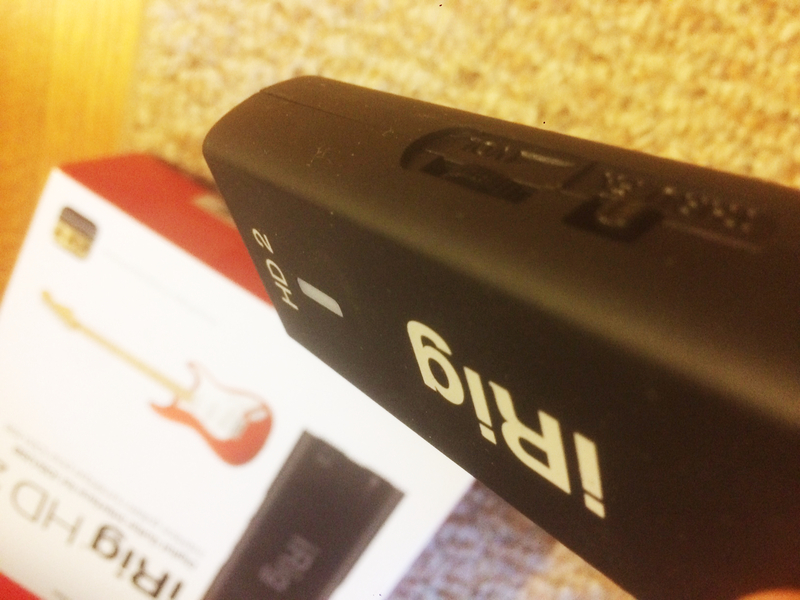 This article is an abridged version of the full iRig HD 2 review and setup guide. The iRig HD 2 is IK Multimedia's second release of the widely-used iRig HD. Both units are mobile guitar interfaces that route your guitar’s signal through a phone, tablet, PC or Mac for effects processing and amp modeling. I got a chance to unbox, test and experience some of the new improvements and features of the iRig HD 2, which built on past iRig releases. Comes with AmpliTube 4 software. IK Multimedia specializes in mobile music production devices, focusing specifically on guitar interfaces in conjunction with its popular AmpliTube 4 amp modeling and effects software. So, how does a device like the iRig HD 2 benefit you? Primarily, the iRig HD 2 interface allows you to use mobile amp modeling and effects processing applications to play guitar more freely, with or without a full rig. Its most significant benefit, that I can now vouch for (more on that below) is its portability. 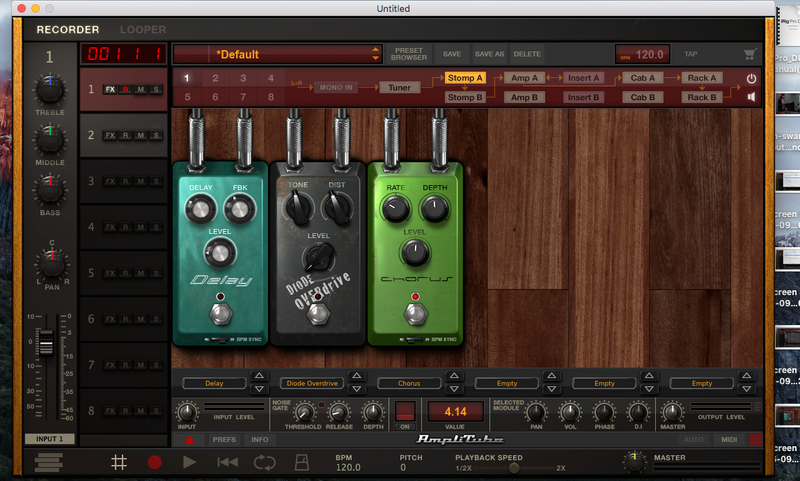 The AmpliTube software can be used on iPhone, iPad, iPod Touch, Mac and PC. | Image via IK Multimedia. The iRig HD 2 interface essentially routes your signal through one of either a phone, tablet or computer, allowing you to use any of those devices as a fully functional amp modeler. You can then use AmpliTube 4, or other DAWs like GarageBand and Audacity, to run amp models and effects or even to record and produce your own music. In fact, any software that can recognize and hear external audio should be compatible. An additional benefit (that I overlooked before trying the iRig HD 2) is that the small interface lets you plug in and play nearly anywhere. My wife and I have three children, who all go to bed early, around 7 p.m. After bedtime has come and gone, we watch TV, read or just spend time in the living room. There are a lot of times I’ve found myself wanting to play guitar, but can’t because I’m worried about waking the kids up or disturbing my wife while she watches TV. Even without that concern, it’s a lot of work to get all my gear together just to play for 20 minutes. This is where the beauty of the iRig HD 2, and the entire concept, really shines through. With that interface, I need only my guitar and a laptop or phone. While testing the iRig HD 2, I could run AmpliTube on my Macbook, grab a set of headphones and play through any amp model I wanted, with all the functionality of a full guitar rig. All of this could happen in a matter of minutes, without risk of disturbing the evening peace. It’s an ideal solution that will allow me to practice more often, without having to deal with a cheap-sounding headphone amp. As you read through the iRig HD 2 review, keep this context in mind. While it isn’t likely to be your main rig, the iRig HD 2 has some major situational benefits. 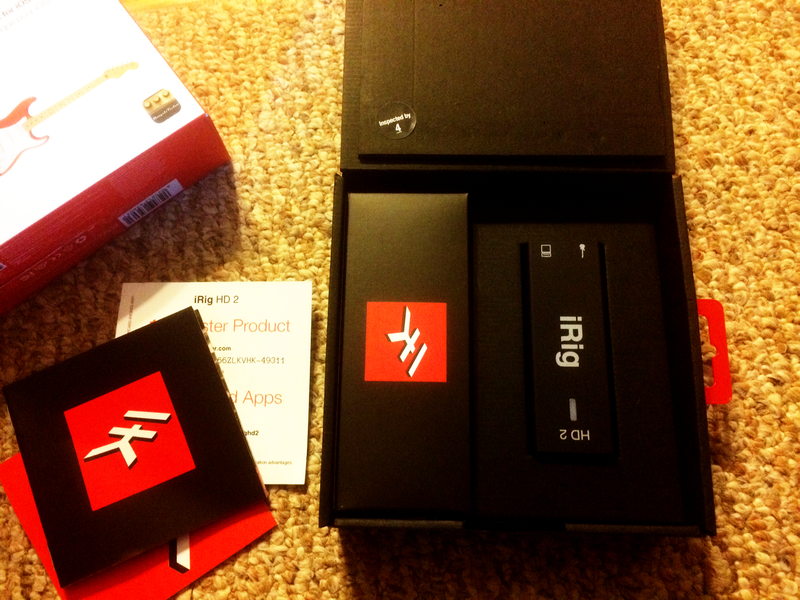 Unboxing the iRig HD 2 (apologies for the poor living room lighting). | View Larger Image. The iRig HD 2 unboxes with all the necessary cables for either a phone, tablet or USB-based connection. Since I happened to be using a Macbook Pro, I used the USB connector cable, running from the iRig HD 2 enclosure to the Macbook’s USB port. Pretty simple. When connected, the iRig HD 2 is powered (indicated by a blue LED light) via a class-compliant USB connection. This means you don’t have to fool with downloading or installing drivers. It’ll just work, which is usually the case with Apple products. Since I didn’t test the unit with PC or Android devices, I can’t be sure if the class-compliant rule still applies. 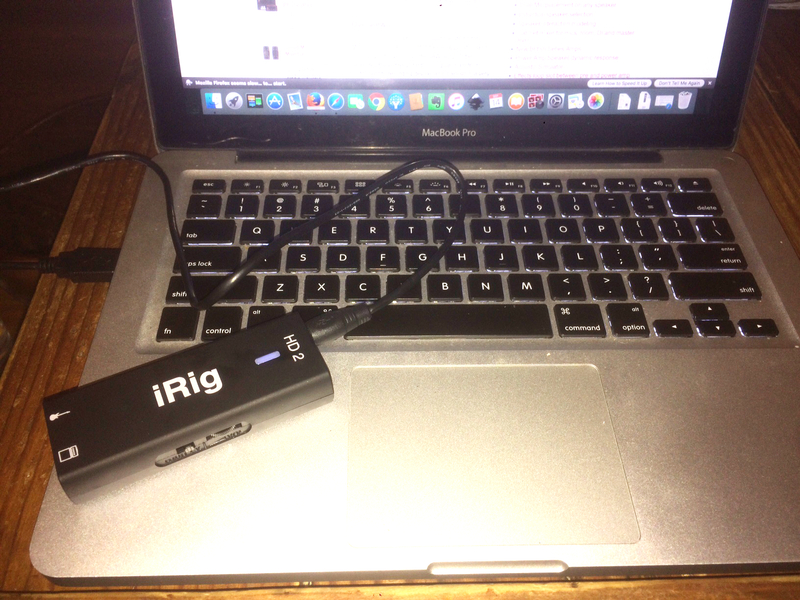 The iRig HD 2 hooked up to my Macbook pro via USB. | View Larger Image. Once the Mac was hooked up, I plugged in my PRS CE 24 via the guitar input (marked by a small guitar-shaped icon). iRig HD 2 Connected to my Guitar. | View Larger Image. When you have your guitar and device of choice connected, there are a few different options for monitoring the output. While a set of headphones, via a 1/8" headphone jack, is the easiest solution, there are a number of different ways to setup output. For example, the iLoud Micro Monitors (also developed by IK Multimedia) work great as they can use the headphone output via another 1/8" audio cable. Here are a few other ways you can set things up, using either the 1/8" headphone jack or the 1/4" amp out jack. • 1/8" inch to studio monitors. While the iRig HD 2 is class compliant with the Mac OS, I still had to set things up so it could "talk" with the sound i/o device and amp modeling software. It sounds complex, but the setup process is really simple. 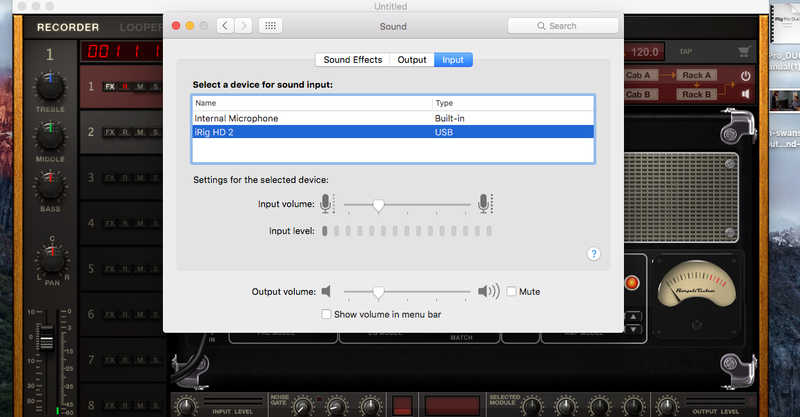 In a Mac, go to Settings - Sound and set the iRig HD 2 as both the default input and output device. Setting the iRig HD 2 as the default input device. | View Larger Image. In Sound, double click iRig HD 2 to make it the default device for sound input, then click the Output tab. 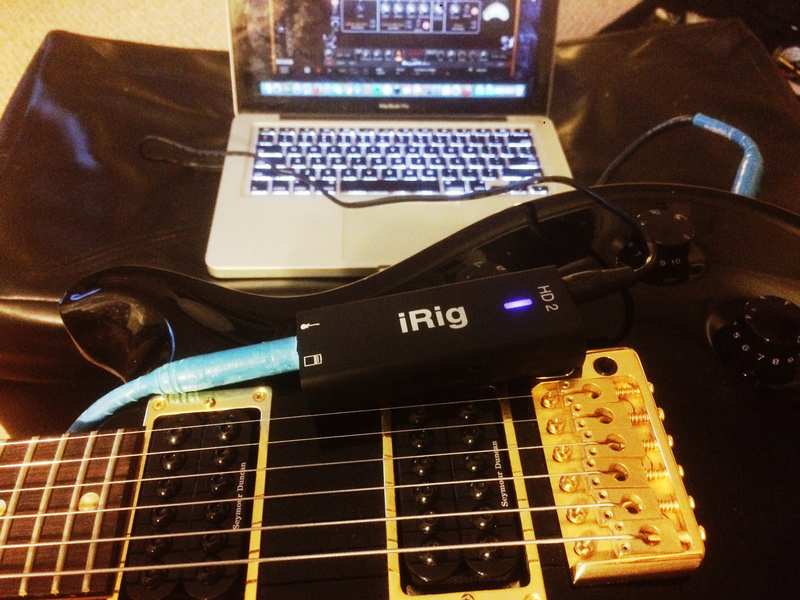 Setting the iRig HD 2 as the default output device. | View Larger Image. The same goes for the output tab. Double click the iRig HD 2 so it functions as the default listening device. The same thing needs to happen with the AmpliTube 4 software, or whatever DAW you might be using. I’ll give you the AmpliTube 4 example so you have a rough idea of how to find the right settings in whatever application you might be using. The process is usually similar. Make sure the iRig HD 2 is set as both the input and output device. | View Larger Image. 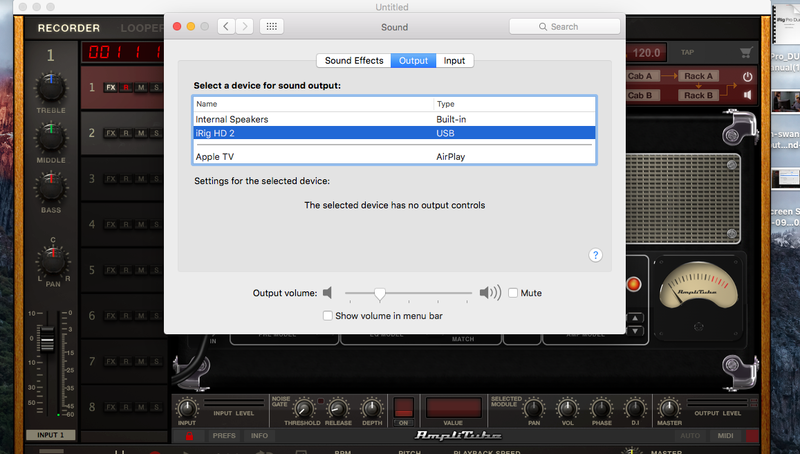 If they aren't already selected, make sure the input and output devices are set to the iRig HD 2, then click OK. You should now be able to hear your guitar through your headphones or external monitor. Volume control for the headphone out on the iRig HD 2 (gain control is on the opposite side of the enclosure). | View Larger Image. 2. Gain (functions as a preamp for your guitar). The volume wheel controls the master volume going to your headphones after the signal has been mixed, functioning simply as a monitor level adjustment. Gain controls signal strength at a preamp level, which means you’ll find that the more it’s turned up, the more prone your signal will be to distortion. You might have to experiment with these settings to get the mix sounding right or to avoid clipping. However, while testing the unit, I didn’t have much trouble finding workable spots for both volume and gain. Once everything was plugged and I was playing guitar (I tested headphones first, then iLoud Micro Monitors), the tone I got was shockingly good and there was no latency in the headphones or monitors. Everything was clear, crisp and even had an addictive quality to it, which reminded me nothing of the tiny headphone amps I’ve used in the past. 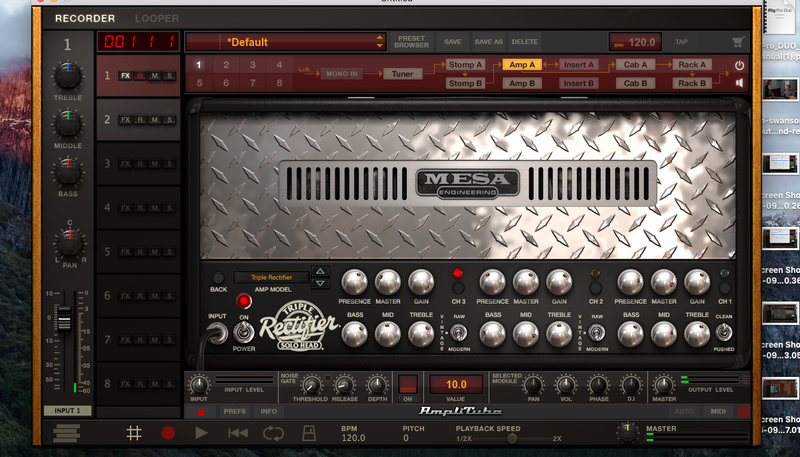 For a little variety (and to test distortion) I installed the Mesa Boogie Triple Rectifier amp model in AmpliTube 4. I used the Mesa Boogie Triple Rectifier amp model in AmpliTube 4 to test the HD 2. | View Larger Image. With the heavier distortion settings, the signal came through a little noisy at times, though not more than I would expect with a physical amplifier. Generally, the high-gain settings I tried (at varying volumes) sounded full and studio-quality. I’d go as far to say it sounded more like a full guitar rig than a headphone outfit. Clean tones were even more of a treat, particularly with some of AmpliTube's effects. With AmpliTube 4's default amp, I used the clean channel and, at times, a little reverb and chorus layering. Digital pedalboard in the AmpliTube 4 app. | View Larger Image. All these effects sounded clear, defined and had an almost addictive quality, coming through the iRig HD 2's interface. The tone was also very responsive to changes coming from my guitar. My 2005 PRS CE 24 has five pickup combinations, which all sounded rich and distinct through either the headphones or iLoud speakers. Tone and volume knob changes were more subtle, and sounded best when they were both kept at 10. As I previously mentioned, the best "feature" of the iRig HD 2 is the convenience and ease-of-use you get from being able to play guitar through your computer or mobile device. I could utilize lots of effects and amp models on my couch, while my wife watched TV and my kids slept soundly. It was the most productive I've ever been on my guitar on a Tuesday night at 7:30. The time it took to unbox the iRig HD 2 and to actually start playing guitar was short; probably less than five minutes if I hadn't been taking time to read the manual and set aside packaging. If you don’t count basic volume tweaking, the device is ready to roll straight out of the box. 2. Those who need a better practice solution that allows them to setup quickly and play quietly. Quick and easy-access living room practice, that stays at minimal noise levels, is an ideal way to use the iRig HD 2. If you want to utilize the AmpliTube 4 software, the HD 2 is going to be the most compatible and convenient interface to do so. IK Multimedia wrote the book on mobile guitar interfaces, and this upgrade of the iRig does everything possible to build on a remarkably solid track record. It's an easy editor's choice. Bobby Kittleberger is the managing editor at Guitar Chalk and author of the book Music Theory for Guitar Players in Plain English. You can get in touch with hiim here, or via Twitter.